Trina Creighton teaches broadcasting courses at the College of Journalism and Mass Communications where she is an associate professor. She brings years of experience in broadcasting at radio stations in Waterloo and Des Moines, Iowa, and for WHO-TV in Des Moines and KMTV in Omaha. She was a reporter, news director, news anchor and producer during her professional career before joining the college in 2001. At University of Nebraska–Lincoln, she has taught courses in videography, broadcast writing and broadcast performance as well as the class that produces Star City News, the college’s twice-weekly live news broadcast. 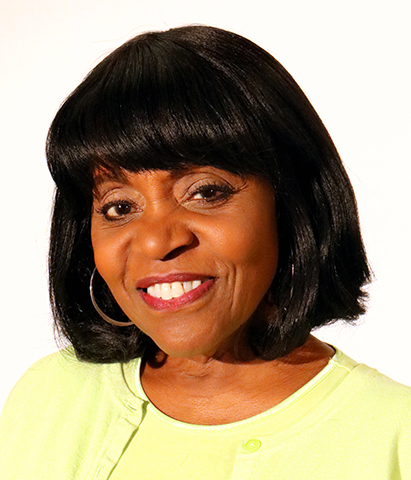 As part of her thesis for the Master of Science in Leadership Development, she produced a half-hour video documentary called “The Academic Achievement Gap: We Do Better When We Know Better.” The documentary helped to illustrate the theme of her research: barriers holding back black adolescent males from higher education. She has shown the documentary multiple times to a variety of audiences. She holds a bachelor’s degree in education from the University of Northern Iowa in Cedar Falls. She earned the master’s degree from University of Nebraska–Lincoln’s College of Education and Human Sciences. Creighton has a son, Braumon Creighton, who is an educator/businessman in San Francisco, and a daughter, Rielle Creighton, who is an anchor/reporter at the ABC affiliate in San Diego. She also has many former students working in the broadcast journalism business across the nation.